Yerba Mate secret drink with miraculous properties also known as Erva Mate or Cimarron is an evergreen plant that grows in Brazil and Paraguay, as well as in other regions of South America. Residents of South America for centuries benefit from valuable, life-giving qualities of this tree. Scientific studies have confirmed the positive effects of exotic drinks on health. It turns out that the active ingredients contained therein, can eradicate the cancer cells, causing colon cancer. Yerba Mate is rich in polyphenols, which ensure effectiveness on the cells of our body. Recommended intake in case you need an energy drink alternative and coffee and has no side effects. Yerba Mate contains a substance similar to caffeine, which is extremely positive properties and is able to give your body and mind our immediate sense of well being and relaxation, which could lead to palpitations or a feeling of excitement. 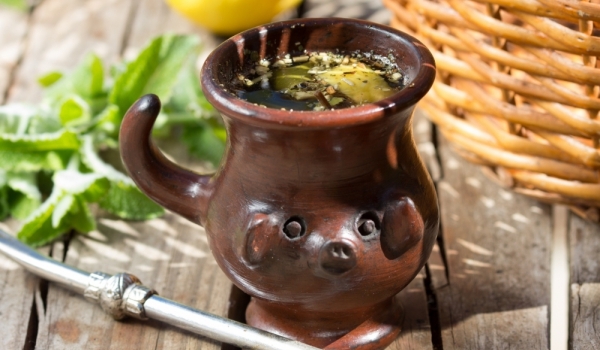 The evening reception Yerba Mate can be useful and help the body to recover the loss of energy during the day. This drink indicates a beneficial effect on the digestive system by promoting the activity of the stomach and intestines. It is able to effectively stimulate diuresis, thereby helping when needed to facilitate removal of excess fluid and helps the kidneys. This feature makes it suitable to prevent the formation of kidney stones. Miraculous drink stimulates the activity of the cardiovascular system. Yerba Mate is a natural aid in diets. Also stimulates the brain and helps in regaining lost concentration. 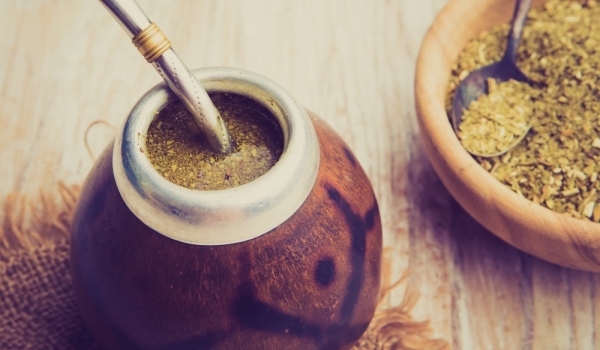 Leaves dell’Erba Mate in South America is still handled by traditional methods. After harvesting, they are left to dry in the sun for twenty-four hours. Then follows a procedure of crushing by a special mill and only then the resulting product is ready for use. The drink can be prepared as an ordinary tea, ie allowed to stand for several minutes in boiling water and then the liquid was filtered. The drink can be prepared after a special ritual, just as practiced by the Indians from the tribe of Guarani, which are considered the discoverers. In this case you will need to have available a special container. After the passing of Mate leaves with boiling water, wait a few minutes and then you will be able to drink tea without having to filter it and therefore not remove the leaves.